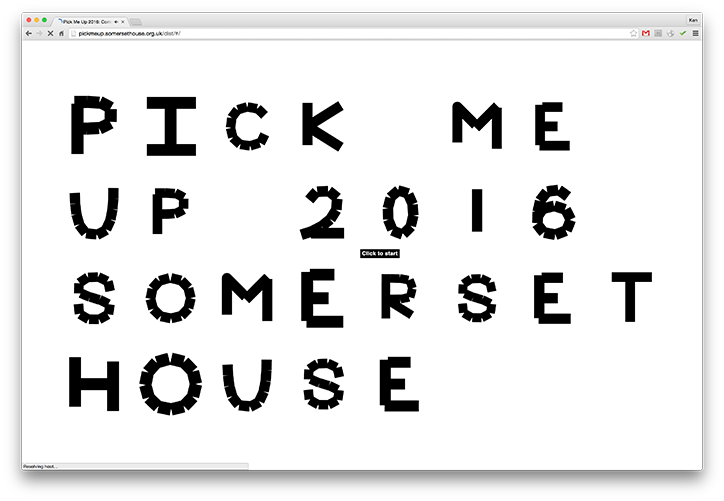 Uk based studio Hato use parametric type technology to create Pick Me Up’s interactive identity - inviting the community to design and submit a letter here... Inspired by this year’s Utopia theme at Somerset House, the tool is a literal response to Thomas Moore’s ideal society, one that responds as and for a community. Each letterform can be pushed, pulled and twisted, made light or dense and has the potential to be applied in publications and signage across the festival, as well as being downloadable and shareable direct from the digital tool. The typeface, which although malleable has a consistency to it that allows it to be applied as a family, was designed by Hato and combines “chic stripes, marshmallow-like curves, slick symmetry and abstract wobbles”. Newer:TypographJournal & TypeBasics GiveawayOlder:Memoire: A type system that softens along with your memory.